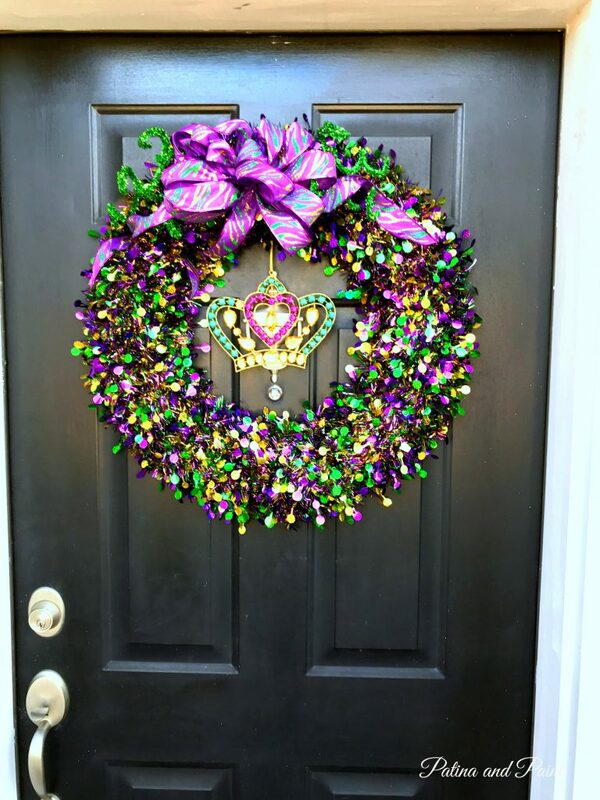 Christmas and New Years are over and it’s time to decorate for Mardi Gras! 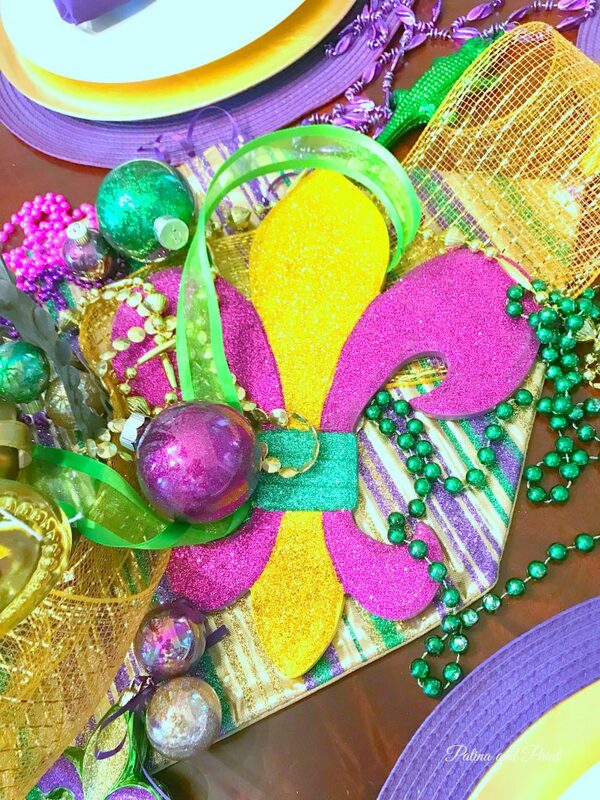 Many years ago, we were fortunate enough to celebrate Mardi Gras with some good friends of ours who live in Biloxi, MS. Ever since then, I have been hooked. I truly love everything about Mardi Gras! 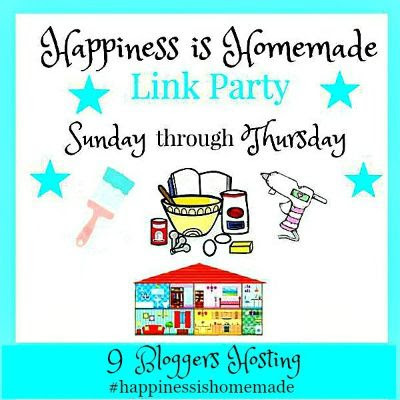 The celebrations, the parties, the balls, the parades, the food, the king cakes and all things shiny! 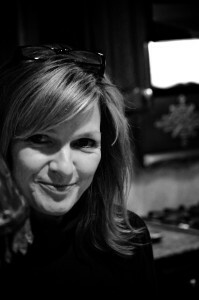 Did I mention that I love King Cake? Of course, here at the castle we don’t have the parades, parties, or balls. 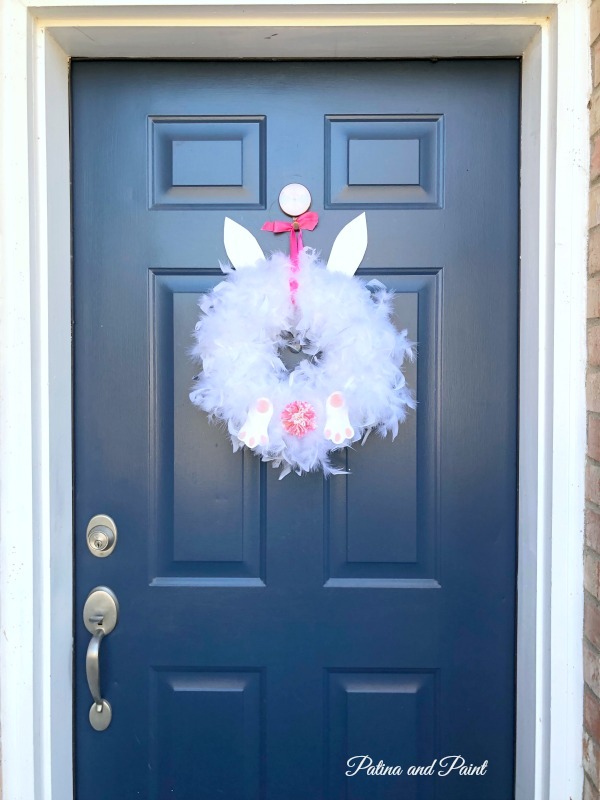 However, I refuse to give up on the food or the chance to do some fun decorating. 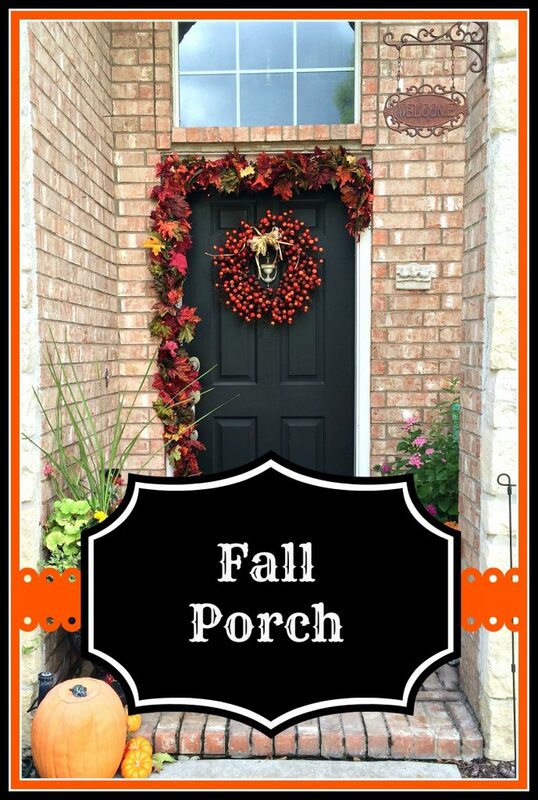 I start with the front door and swing on into the dining room! 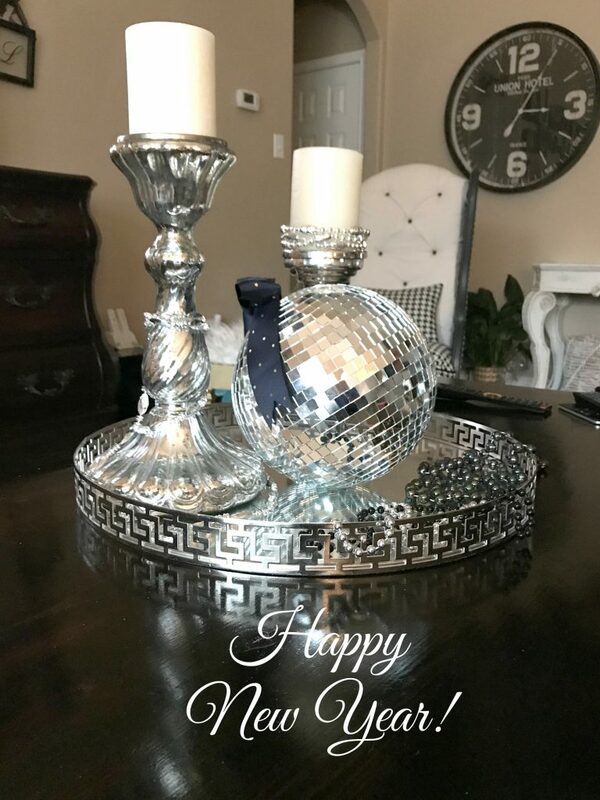 This year I wanted to add a little more bling to my dining room table. Don’t roll your eyes! It is totally possible. 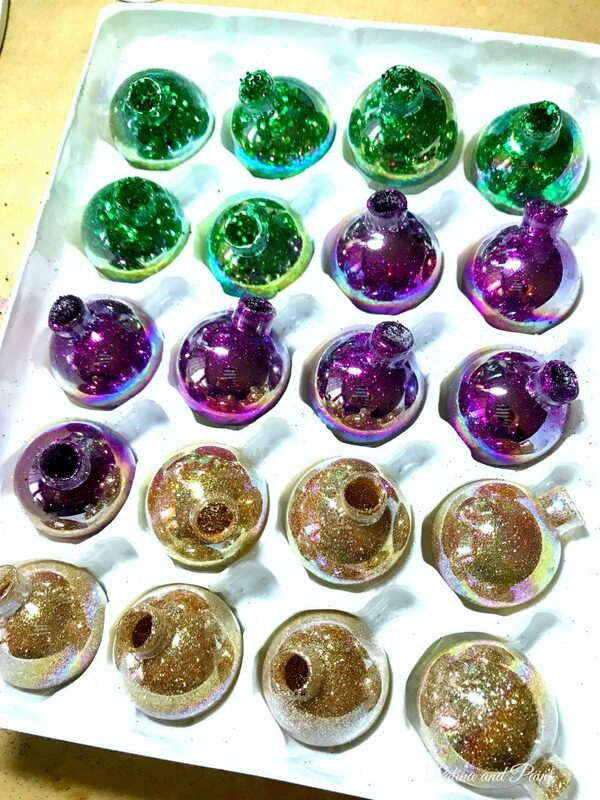 I found these clear ornaments 90% off at Hobby Lobby and knew immediately that I could make some shiny ornaments in the Mardi Gras colors of purple, green and gold. I know that you have seen how I do this before. If not, you simply pour a little Mop N Glow into your ornament. 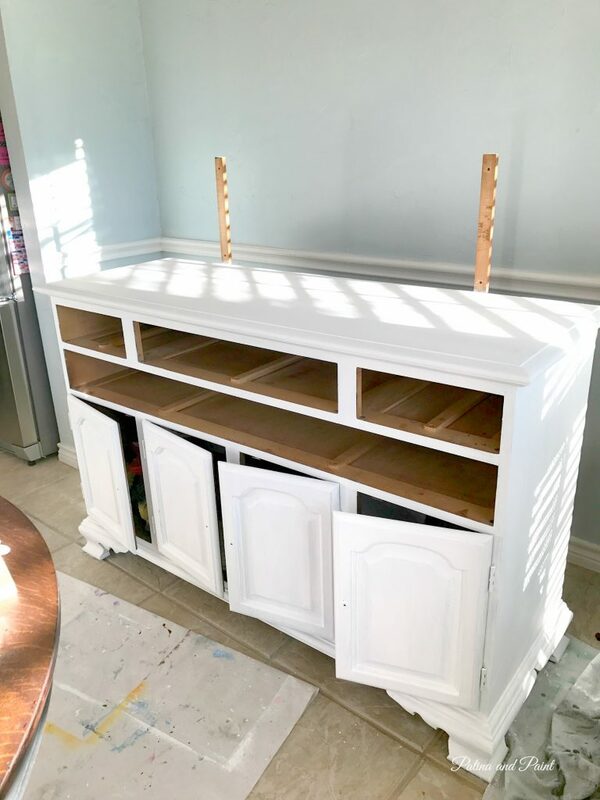 Make sure all of the inside is covered with liquid. Pour the excess liquid out. 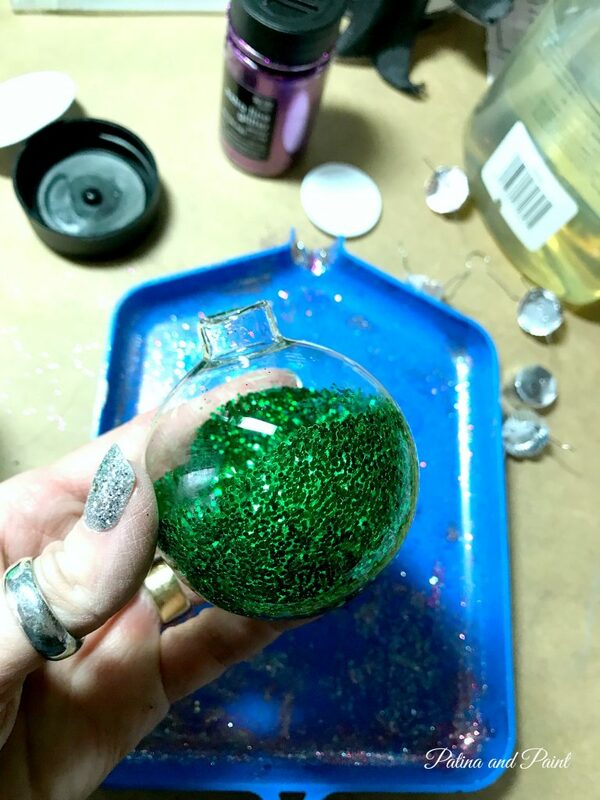 Then pour glitter inside the ornament. Roll your ornament around until the glitter attaches itself to the Mop N glow on the inside of the ornament. That’s it. Your ornament is so fun and super shiny! Aren’t they shiny and pretty? 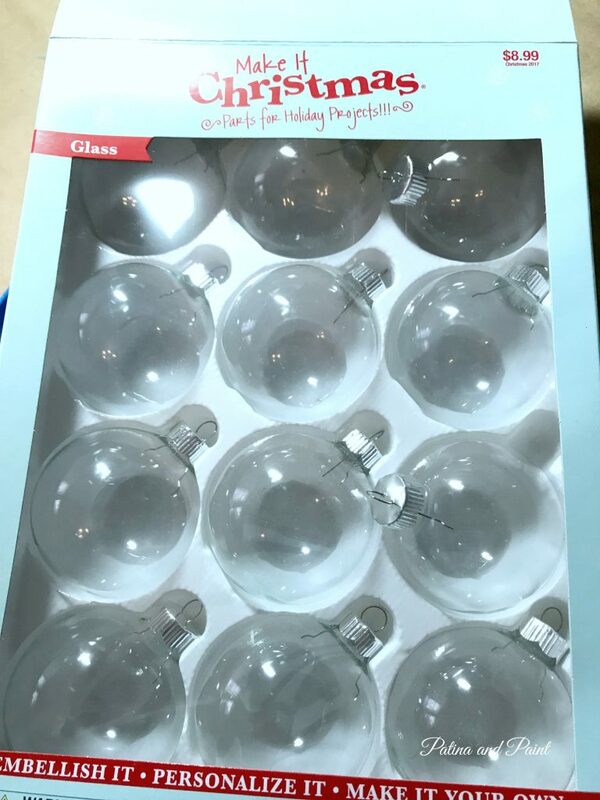 They are exactly what I was looking for! 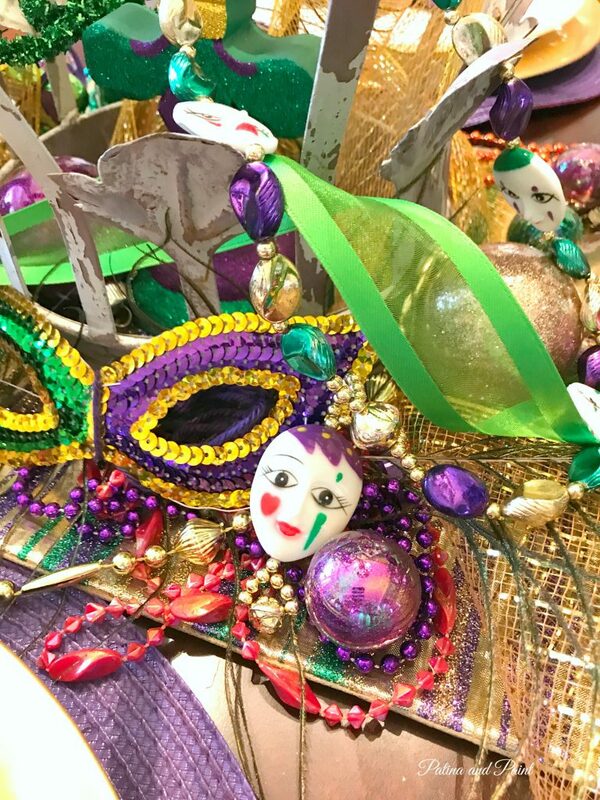 A lot of crowns, beads, ornaments, masks and feathers make up a fun Mardi Gras table! The living room is super simple. 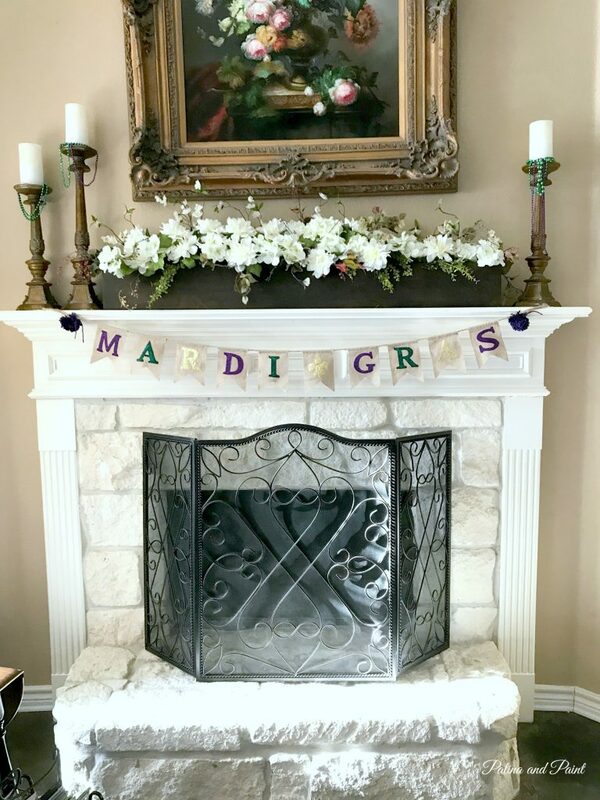 I add a Mardi Gras banner to the fireplace. A few beads hang from the candles. Simple. But cute! 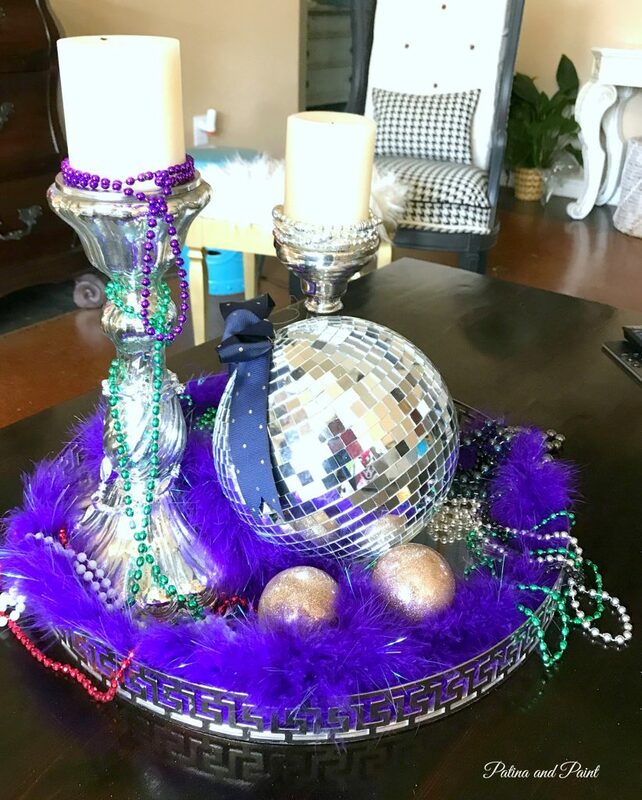 For the coffee table, I added beads and a purple boa to the New Years Day decor. 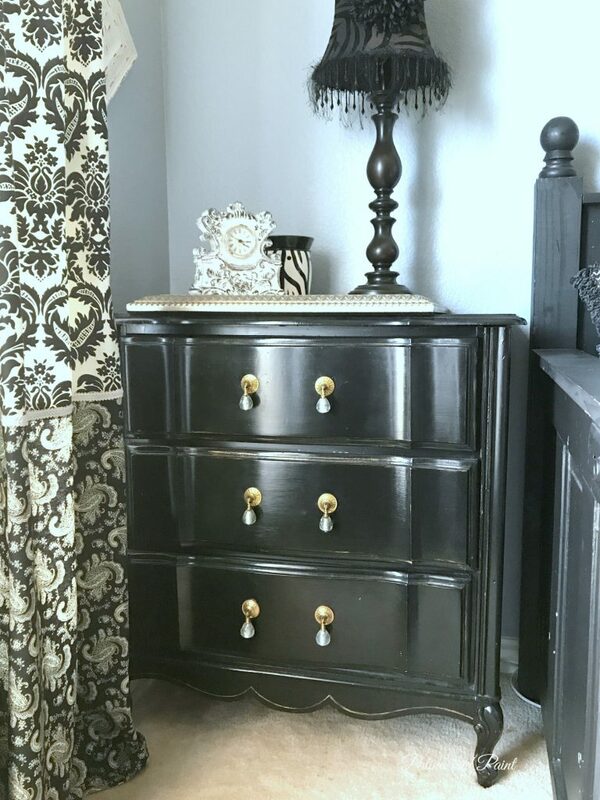 The decor is done! 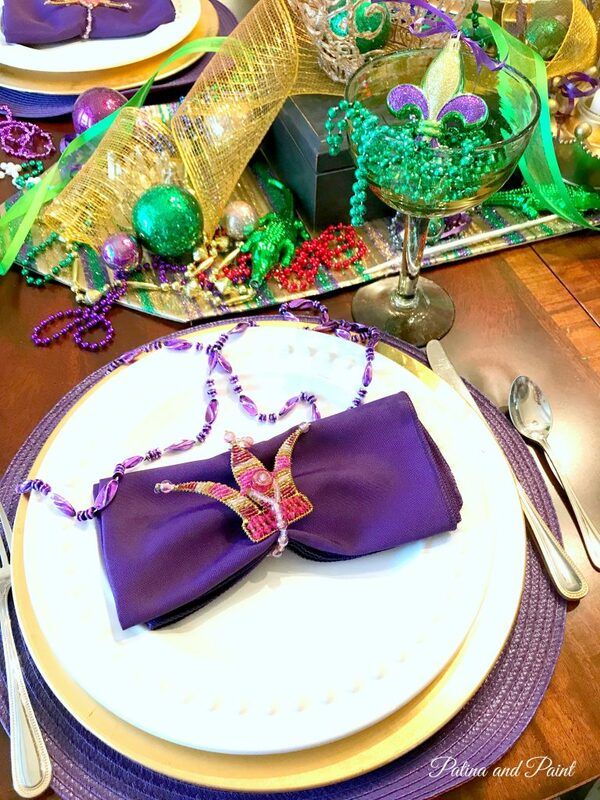 From now until Fat Tuesday, which also happens to be Valentine’s Day this year, I will be cooking red beans and rice and a few other cajun dishes to get us into the Mardi Gras mood. Don’t even get me started about the King Cake. I usually make several for my family the Monday before Fat Tuesday. It really is all about the cake!